Ring in New Years 2018 in Daytona Beach on Main Street, known as the "World's Most Famous Party Street!” There is no admission charge and the celebration will feature 6 stages of entertainment, street performers, drink specials and lots of tasty food choices. Ring in New Years 2018 in Daytona Beach on Main Street, known as the “World's Most Famous Party Street!” There is no admission charge and the celebration will feature 6 stages of entertainment, street performers, drink specials and lots of tasty food choices. 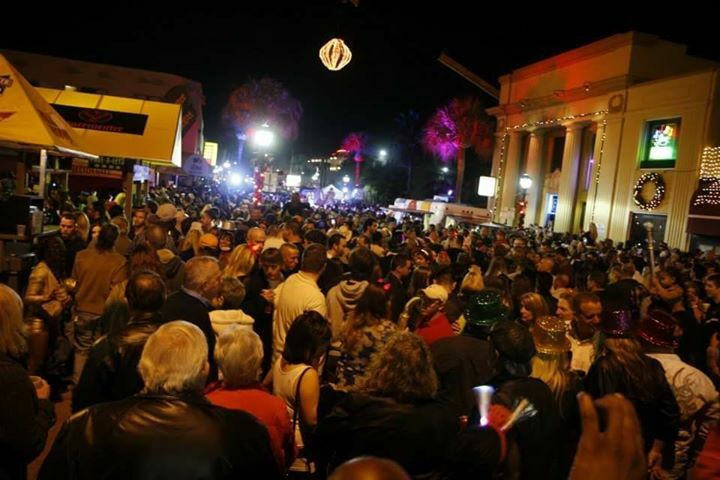 The 12th Annual Politis & Matovina Law Firm New Year’s Eve on Main Street Party will take place on Main Street from A1A to Peninsula, starting at 6 PM on Sunday, December 31st. This section of Main Street will be closed to traffic and become pedestrian only. A spectacular fireworks display over the Atlantic Ocean and the live New Year’s Eve Ball Drop Ceremony at midnight top off the celebration. The Ball Drop Ceremony will be held at the corner of Main Street & Wild Olive and the fireworks display will be visible from Main Street. This event is free and open to the public and will have something for all ages! Mark your calendar and bring the whole family to RING IN THE NEW YEAR at the 12th Annual Politis & Matovina Law Firm New Year’s Eve on Main Street Party on Sunday, December 31st. This is a “must do” event that is guaranteed to be fun for all as attendees enjoy live music and entertainment, street performers, food vendors, street vendors, the midnight ball drop ceremony, fireworks over the ocean and traditional New Year’s Eve Celebration while mingling with friends, neighbors, and visitors from around the world. For event updates, log on to www.NewYearsEveOnMainStreet.com. Politis & Matovina Law Firm, WHOG “The HOG” 95.7 Radio, and the City of Daytona Beach are sponsors of the event.